The iconic Snake game on Nokia phones is one such game that we all loved playing day in day out. 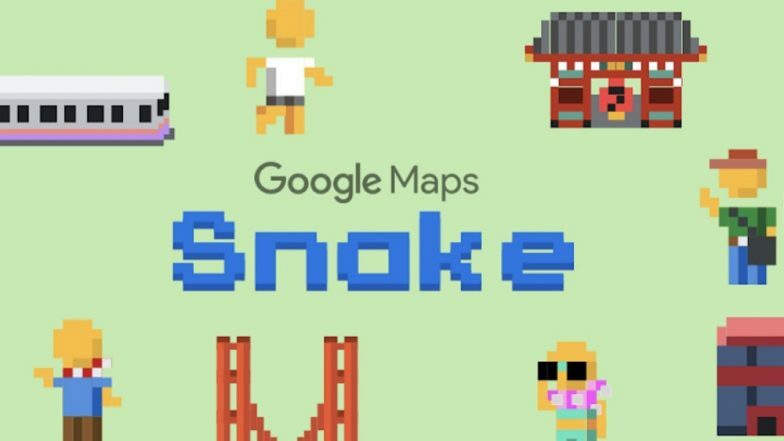 The game is so huge that Google has reimagined the Snake game for Google Maps. Yes you hear that right!! To celebrate April Fool’s Day, the American tech giant reportedly added the most loved game to Google Maps app. Both Android and iOS users can enjoy this game irrespective of the platform they are using. Google April Fools' Day Jokes: Year Wise List of All New Fake Features Introduced by Google as April 1 Pranks. You just need to touch the side bar option provided on the left side of the search bar. The company has added 'Play Snake' option in the menu. Google's Snake game on Google Maps app doesn't feature any snake though. However, the users get to play as a public transport vehicle like San Francisco cable car, pickup passengers, London Double decker bus, Tokyo bullet train. 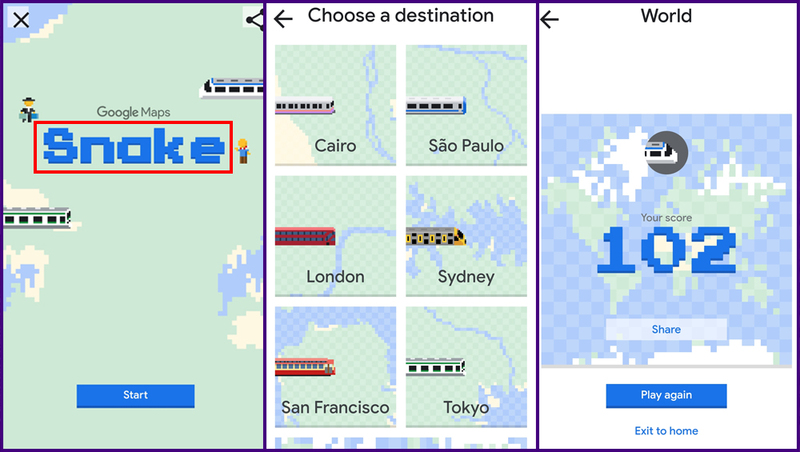 Interestingly, the users get to play this Snake game on 8-bit map. Google offers option of six cities to play that includes Cairo, Sao Paulo, London, Sydney, Tokyo and San Francisco. Moreover, there is also another option of 'World' wherein the player need should pickup passengers across the map. According to the report from Cnet, this Snake game will be available for about a week which is reportedly confirmed by Google spokesperson. We also know that the tech giant is good at April Fool's gag. Previously, we have seen such announcements from Google wherein the company introduce NES-inspired 8-bit Maps in the year 2012. To make things for astonishing, a Pac Man game was introduced to Maps in the year 2015. Moreover, we saw Where's Waldo search last year.